The 2015 MLL season kicked off for us Sunday evening, on the road, in Boston, at Gillette Stadium aka the house that Brady built. 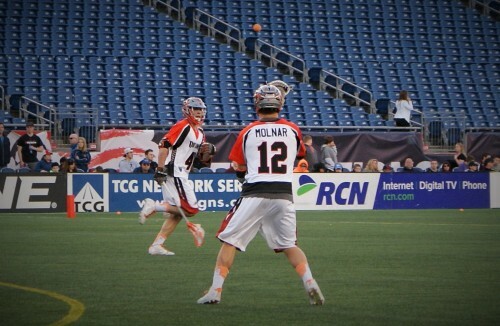 It was very cool to be part of the first ever MLL game played at Gillette Stadium and to be able to now say that I have played on the same field as Tom Brady and Peyton Manning. 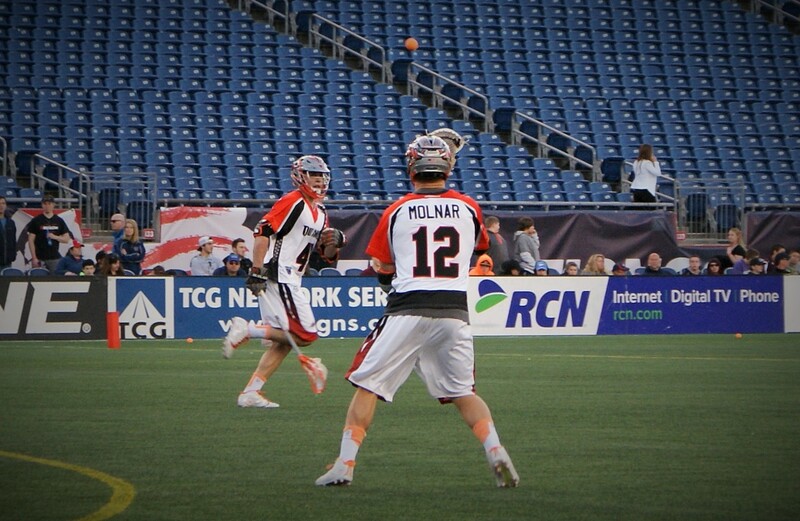 Of all 8 teams in Major League Lacrosse the Cannons by far had the most offseason turnover. The long time face of the franchise, Paul Rabil, was traded to New York and with his departure came a whole host of people who immediately wrote off the Cannons as doomed in 2015. Apparently the Cannons did not get this memo because they played with a chip on their shoulder all night and eventually handed us a 16-13 loss and wake up call. Even if the media wrote off the Cannons, we did not. Everyone in the league knows that any team can beat any other team on any given night. The talent pool is so deep that all 8 rosters all loaded. There are no gimme games in this league and if you want to walk away with a W you must bring it for all 60 minutes. The game was very back and forth with both teams making runs at different times. To me, the pivotal turning point came in the 3rd quarter. Early in the 3rd quarter, Drew Snider scored to cut the Cannons lead to 8-6. It finally felt like we had some momentum going. The momentum was very short lived. Shortly after Snider’s goal, the Cannons hit back to back 2 pointers in a 10 second span. In 10 seconds, we went from being in a tight game down 2, to down 6. This is part of the unpredictableness that is Major League Lacrosse. With the 2 point arc, entire games can change in seconds. Down 6 in the 3rd quarter, it would have been really easy for us to pack it in and accept the loss. Instead we decided to fight. In the end it was too little too late but the fight we showed is a great positive to take from the game. Despite the loss we still had some great individual performances. Anthony Kelly aka train aka train donkey was his typical beast at the faceoff X. We also had hattricks from Snider, Chris Bocklet (can’t just say Bocklet because there are now three of them on our team. On a side note, it was great to see all three brothers playing together at the same time and for Mike, the eldest Bocklet and newest Outlaw to score his first goal), and Justin Pennington. Pat Harbeson also had a nice showing in his first ever MLL game notching a goal and an assist and running the field really well. The quote that I started my blog post with from veteran leader Jesse Schwartzman really gave the loss some perspective. It was a disappointing loss, but it is a LONG summer. This team has one goal: To win the Steinfeld Cup and no one wins or loses the championship week 1. No one wants to lose, ever, but there is no time to dwell on the past. All we can do is get better each and every week as we work towards our ultimate goal. And lucky for us, we get the opportunity to travel to Ohio this week and face a very talented Machine team. We play the Machine at 1pm Eastern on Sunday, April 19th. Tune into ESPN3 and watch us try to get back to .500.